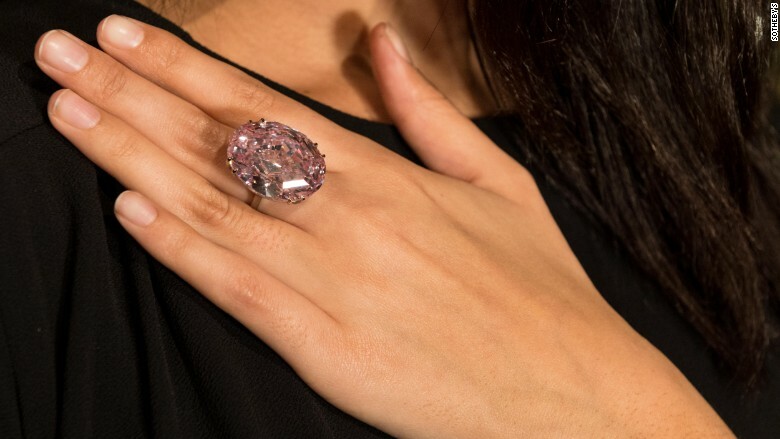 A giant pink diamond has become the most expensive jewel ever sold at auction, fetching $71.2 million at Sotheby's in Hong Kong on Tuesday. Clocking in at 59.60 carats, the Pink Star was the largest polished diamond ever to go on the auction block. The winning bid came from Hong Kong jewelry firm Chow Tai Fook. The company's chairman, Henry Cheng Kar-Shun, phoned in the bid. The final price was 553 million Hong Kong dollars, including the buyer's premium, or auction house charge. The "Pink Star" weighs 59.60-carats, and is the most valuable poilished diamond ever offered at auction. This isn't the first time the Pink Star has gone up for sale. 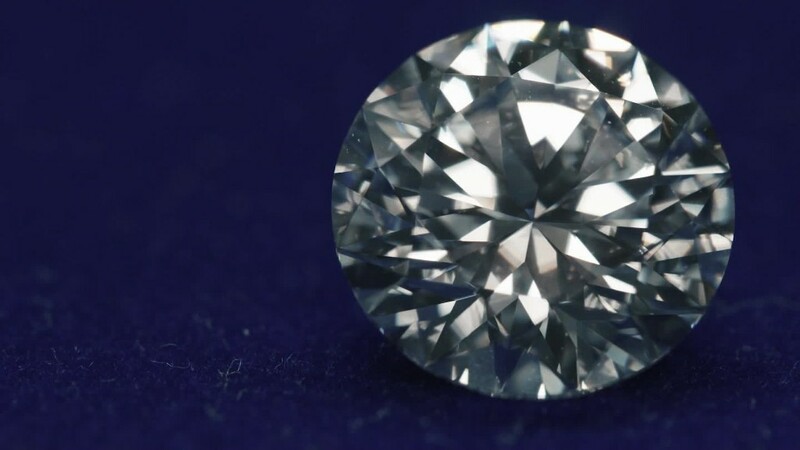 In 2013, it sold for a record $83 million at a Sotheby's auction in Geneva, but the buyer, New York-based diamond cutter Isaac Wolf, defaulted on the deal. Sotheby's ended up saddled with the expensive stone. The most important diamond sales usually take place in Geneva. The Oppenheimer Blue, which previously held the record for the most expensive polished diamond (successfully) sold at auction, fetched $57.5 million at a Christie's auction in Geneva last May. Soon after, Sotheby's tried to auction off the Lesedi La Rona, the world's second biggest diamond, in the Swiss city. The uncut stone was expected to go for at least $70 million, but failed to find a buyer. Sotheby's tried a new city for the Pink Star this time around. The auction house wrote "a new chapter in its story by offering it for sale in Hong Kong, now a global epicenter for the world's wealthy," said Tobias Kormind of 77 Diamonds, an online diamond jewelry seller. It took nearly two years to cut the Pink Star from a rough diamond. It first appeared in public in 2003 and later became part of an exhibit at the Smithsonian National Museum of Natural History, home of the famous 45.52 carat blue Hope Diamond. It was also displayed at the Natural History Museum in London. 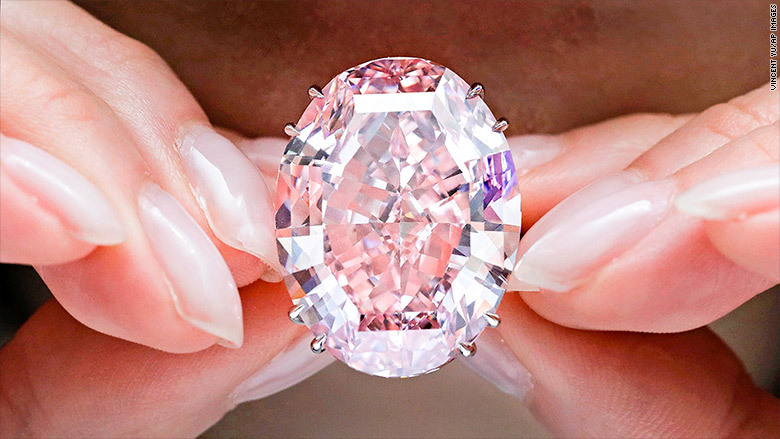 Tuesday's winning bid surpassed the previous world auction record for a pink diamond -- $46.16 million for the 24.78 carat Graff Pink, sold at Sotheby's in Geneva in 2010. Chow Tai Fook has renamed its new possession the CTF Pink Star in memory of the company's founder and to commemorate the brand's 88th anniversary.